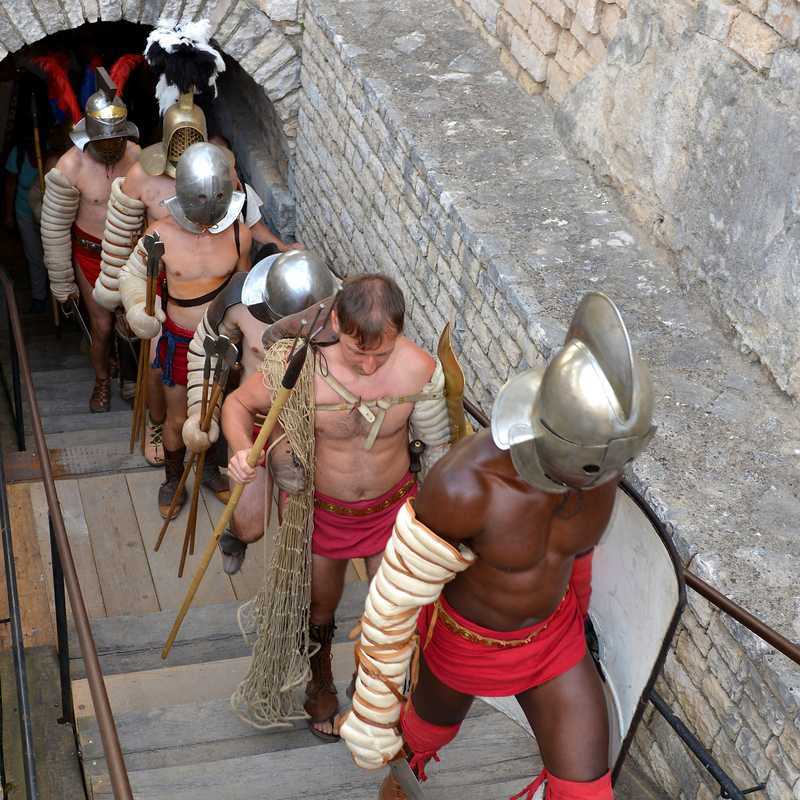 Spectacvla Antiqva is the name of the project that takes place in Pula’s amphitheater once a week, from the end of June to the beginning of September, except during the Pula Film Festival. In the evening hours the Arena becomes the site of gladiator fights, workshops, visitors have a chance to see ancient Roman clothing and hairstyles while a narrator explains everything to them. In addition to presenting the tradition and heritage, Roman history and civilization come alive in the Arena. All those interested can even enjoy gladiator fights with real weapons.